Just panning back a bit to show all of the teams that participated in the half time show that I mentioned in yesterday's posting. Eight football teams in all, with 18 to 19 third and fourth grader per team, about 140 kids in all. 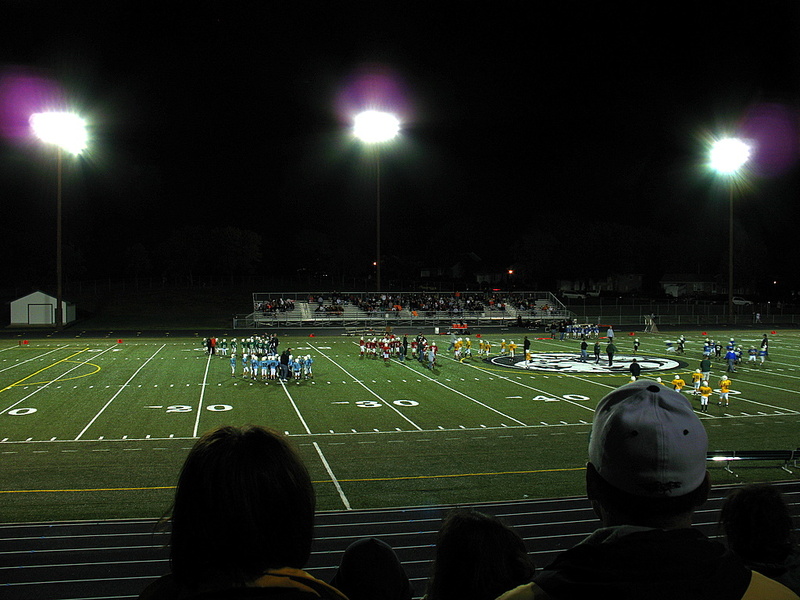 Now times $6 dollars admission fee, by the number of the parents there to see their child during the half time show. The football players all get in free. The stands were very full that night as you can imagine. Your math is right on target ... Your photo make me want to find a football photo opportunity.